Every invasive surgical procedure brings with it some level of risk. However, complex surgeries are usually most at risk and considered inherently dangerous when involving anesthesia, bleeding issues, the potential for blood clots and the time it takes to heal completely. The drugs used in anesthesia often produce a lingering side effect on the patient’s brain that can last months or years after the procedure. A blood clot or bleeding problem can cause near instant death. Now that it is possible, many people are opting to remain awake for surgical procedures that once required general anesthesia. The ability to understand what is happening and to even ask questions about the procedure in real time is intriguing and may even offer comfort to those who are nervous or unsure about being put under for any considerable duration. 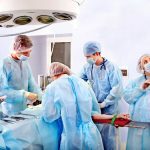 With this trend, however, comes a complexly new set of potential complications that surgeons are still adjusting to as they must remain aware of the fact that their patients can hear and see every minor thing that is said or done. Aside from doing so just because someone can now, people have certain medical, personal or financial reasons they may wish to forgo traditional anesthesia. These reasons may include the following. Recent reports have indicated that many anesthesiology related medical errors are going unreported because physicians fear reprisal if they indicate that an error occurred. This is cause for concern because it obviously skews medical reporting data and may be hiding a much larger problem with medical negligence due to the failure of anesthesiologists to properly dose patients undergoing sedation based on factors such as their medical history, age and other factors. 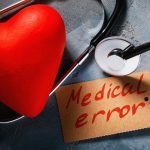 With data suggesting that as many as 98,000 people could be dying due to these errors, it is especially problematic that doctors are brushing their errors under the rug in order to avoid being held liable. A study performed by the University of Michigan found that when physicians were left to report their own errors, there was an incredibly low incident rate compared to the number of reports made by patients alleging they suffered injury. Out of 434,554 cases, only 238 medication errors were reported by doctors, making the self-report incident rate only 5.5 per 10,000 cases. This also suggests that the problem is far more serious than previously suspected. Mercy Clinic Springfield Communities was ordered to provide almost $29 million in compensation to a patient because specialists failed to diagnose her condition. A jury determined that the woman’s rare condition could have been treated with only minor complications had Mercy Clinic taken more proactive measures to provide a timely diagnosis and treatment, but she is now suffering catastrophic complications because the diagnosis was seriously delayed. The patient and her family alleged that they needed to plead with specialists to perform diagnostic tests when she was experiencing severe symptoms of Wilson’s disease and that the delay in ordering these tests resulted in permanent disability. Wilson’s Disease is a rare genetic disorder that causes copper to build up in vital organs throughout the body. The organs most impacted by excessive copper levels are the liver and the brain. When copper levels reach unsafe levels, it can result in permanent brain damage and neurological disorders that impact motor function, speech and cognition. 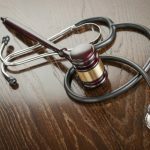 Recent studies have shown that the number of medical malpractice lawsuits filed in the United States has dropped significantly over the last twenty years while the average claim has risen. Higher claims have been cited by proponents of tort reform, but efforts to reform tort law may make it more difficult for those who have legitimate claims against their healthcare providers to find attorneys willing to take on their claims. When considering that the actual number of cases files has dropped so significantly, however, it is becoming clear that placing caps on damages and implementing other forms of tort reform may actually harm those who have legitimate claims far more than it will deter those with frivolous ones. From 1992-2014, it has been revealed that the number of medical malpractice lawsuits being filed has dropped by over 52%. Meanwhile, the average judgement or settlement has increased during that period from $287,000 to over $353,000. 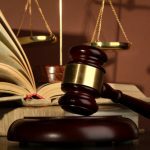 At first glance, these statistics could be used to make the case that healthcare providers and doctors are making fewer errors and responsible for fewer injuries, but the reality is that tort reform across the nation has forced many attorneys to turn away cases that would not be worth their time or resources. To prove that medical malpractice played a role in the death of a loved one, you must first determine the exact cause of death and provide conclusive actions linking the attending specialist to that cause. If a hospital refuses to agree to an autopsy, it could be a sign that officials are concerned with what information could be discovered and used against the hospital in a lawsuit. 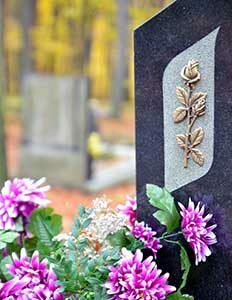 The Chicago wrongful death attorneys of Rosenfeld Injury Lawyers LLC can help you find the answers that you are seeking after a death of a loved one and to hold those who are responsible liable for their actions. Of the patients who die in the hospital, only 5% receive autopsies today, compared to 50% four decades ago. 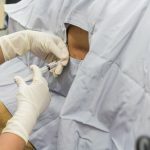 It used to be standard procedure to perform this procedure to determine exactly how a patient died whenever there was any doubt whatsoever, but hospitals have stopped ordering them because they fear that the findings could result in a lawsuit. 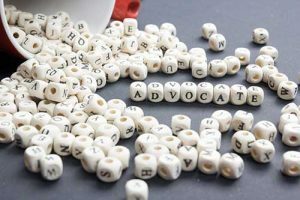 While the evidence provided from an autopsy is often classified as hearsay, it can be used in tandem with the testimony of reputable medical experts to make compelling arguments in favor of families seeking damages on grounds of medical malpractice. When lives are at stake, doctors cannot afford to be given a poor translation when attempting to understand what is going on with his or her patient and family members cannot misinterpret the instructions given to them. The quality of a patient’s life and his or her prognosis can be greatly diminished simply because there was a language barrier and this is why there needs to be a greater investment in interpreters by hospitals. Rather than hire these individuals, many healthcare providers have opted for less expensive and impersonal options that have proven to be highly ineffective and jeopardized the health of many. 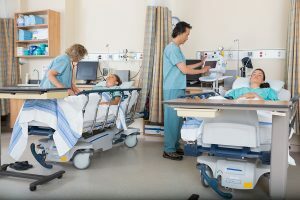 One stark example of the devastation that can result from poor translation in a hospital setting comes from a baseball play who was severely injured when a medical interpreter mistranslated a single word used by his family to describe his condition. In the Spanish language, “intoxicado” means digestive irritation, but it was translated to mean “intoxicated” by the interpreter working with Willie Ramirez in 1980. A pediatric surgeon specializes in the treatment of birth defects and childhood medical conditions through surgical procedures and ongoing care. Surgical errors occurring during these procedures may have a profound impact on the child’s physical and mental development and could severely alter his or her quality of living. The Chicago medical malpractice attorneys of Rosenfeld Injury Lawyers LLC work with families to ensure they can recover fair compensation when their child has been injured due to a surgical error so that they can continue to provide for the child’s needs throughout his or her life. In order to become a pediatric surgeon, doctors must be able to perform numerous types of procedures and treat a wide range of medical conditions. The conditions they may treat through surgery include the following. 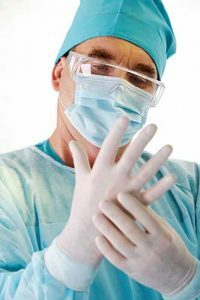 Recent findings have suggested that surgeons may pressure anesthesiologists into performing inappropriate procedures or accepting ill-suited patients at ambulatory surgery centers. This practice may greatly increase the risk of mortality for patients and could reduce the quality of medical services. It is important that anesthesiologists hold their ground and properly assess patients in order to prevent undue injuries or fatalities. 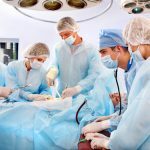 Ignoring patient risk factors when recommending or proceeding with surgical procedures is a common cause of medical malpractice and the Chicago surgical injury attorneys of Rosenfeld Injury Lawyers LLC encounter many cases that could have been prevented had patients been properly selected for procedures. Studies have revealed links between increased risk of mortality and hospital readmission with factors such as age, medical history and medical conditions. Those with certain health concerns or who were older displayed a greater chance of experiencing postoperative complications or being readmitted to the hospital than younger patients with fewer health complications. Certain health complications were more likely to increase risk than others.